Copyright © 2005, John Sobolewski - This image is copyrighted. Unauthorized reproduction prohibited. 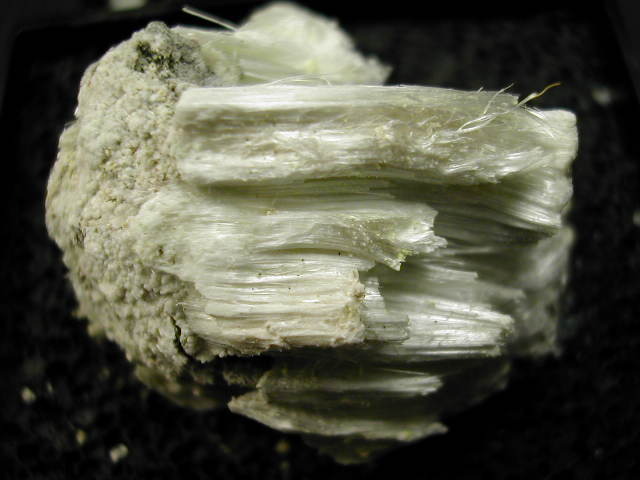 A very delicate 3.4 by 3.0 cms specimen of soft Epsomite fibers. The specimen is in a large plastic box for protection. John Sobolewski specimen and photograph.